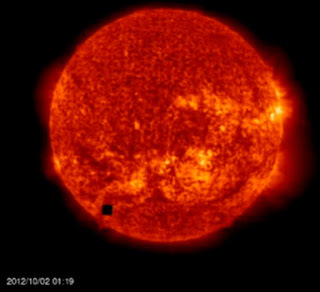 A Giant Cube shaped UFO has been reported in NASA's pictures from the SOHO probe for the last couple of months. Here are some videos showing images of this massive cube shaped mothership around the Sun. Any skeptic looking for proof of intelligent life out there, need look no further ... the mounting evidence of anomalous flying objects and some first hand accounts of contact with Extraterrestrial Beings from different star systems is proof enough, WE HAVE NEVER BEEN ALONE ! Its about time the veil of secrecy is lifted and the truth be known, so we can end this tyranny we are living under ... bring down these governments, banks, corporations ... and other power structures which are there to limit humanity from achieving its true potential and grow as a space faring, peaceful civilization. Clearly, we must first begin at home ... its time we have to make a choice between being enslaved by these self limiting beliefs or being free of all limitation and illusions that seek to divide us. No more Country ... State ... Village .... We are one planet ... We are one consciousness ! Being change is seeing change ... we make that choice, always !